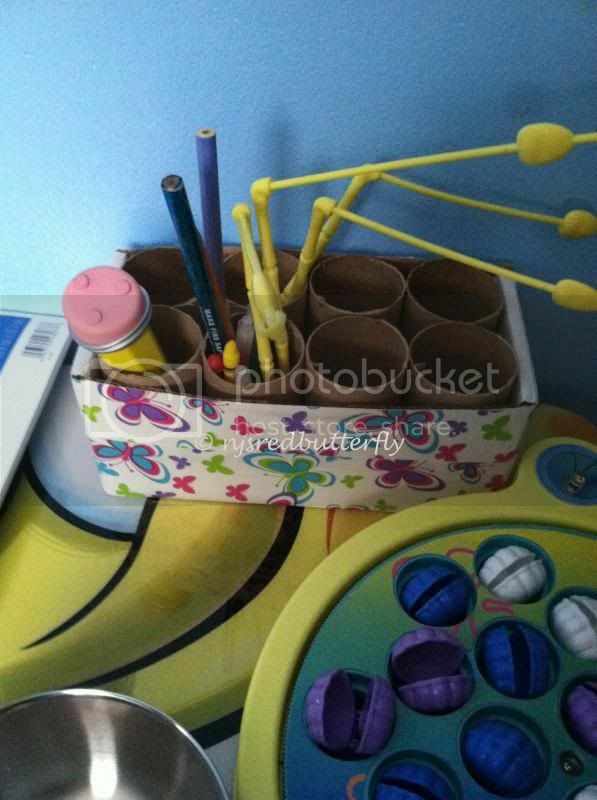 I’ve seen one of the blogger’s I’ve often visited her DIY pencil/crayon holder. I was fascinated to the DIY and I can see that the thing needs were the usual once we have at home and without hesitation, I’ve made my own Holder. In less than an hour, this is what I got for my son’s desk. It is perfect, so he’ll be able to find his pencil, and crayon easily. Thank you Mommy Mel, you have inspired me with the simple and DIY project for my son at home.